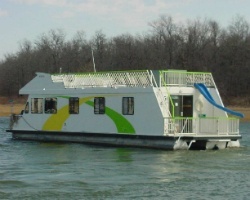 *Grand Lakefront Resort Club USA- Lake Eufaula* is a truly unique houseboat opportunity for travelers. Eufaula Lake is known as the gentle giant, and is the 15th largest lake in the United States! It spans over 102,500 acres of water and numerous sandy beaches. Great fishing is available on the lake year-round, and the most beautiful times of year are spring and fall because of the spectacular scenery of Southeast Oklahoma. The lake boasts striped bass, largemouth bass, white bass, crappie, catfish, walleye, and numerous sunfish! For more information, visit www.glrcusa.com. Floating week in even years! Exciting houseboat opportunity! Floating week (1-10, 44-52). Option to book a bonus week annually! 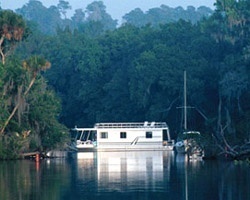 Gorgeous 2 or 3 bedroom houseboat - resort sold out of this package! Bonus weeks available. Motivated seller, price negotiable.